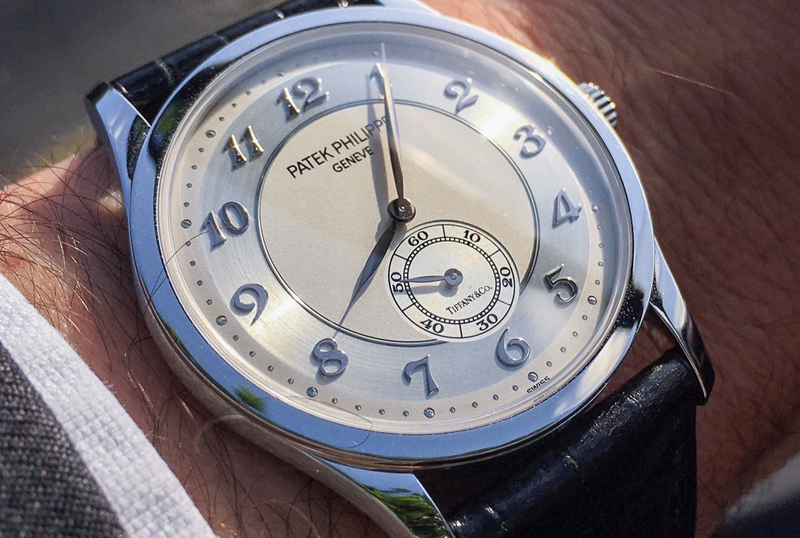 Almost all Patek guys would consider the 570 to be the Calatrava. The 570 is an origin to so much of modern watchmaking, what the Stones are to rock. It was the clear inspiration when Patek Philippe decided to return to the simple Breguet-numbered Calatrava in 2004. However, much like the Stones, it’s easy to screw up return albums. One of the great things about Patek Philippe is that they almost never do, as evidenced by this 5196P. With huge simplicity, a 38mm case, and fewer contrasting visual elements than the 570, the 5196P is an endlessly elegant choice. The dial’s ranges of contrasting grey were shortened and the hands were sculpted more finely for the Platinum reference, specifically to match the metal’s luster. Their manually-wound 215 PS movement was chosen for the job. Patek would call that movement a nod to their past and critics would call it backwards. However, here’s one thing it definitely is: simple. Well-constructed simplicity fits the character here just fine in my eyes. The subtle plays employed in this watch’s design make it a very tasteful choice for a modern dress piece (a ‘true’ sartorial dress watch, mind you, must be time-only). The 5196P is rare enough, but this example also comes with the Tiffany & Co signed dial. I have no idea how many 5196P were signed (the seller noted 3-4 per year), but you rarely find them on the market. This one was purchased new in 2016, comes with all the boxes and papers, and is in excellent condition. It’s beautiful choice for those seeking a modern Patek Philippe. Find it here for 45000 GBP.